February 2018 marked 61 years for Frank Squires in the aggregate industry. Through it all, Squires has proven to be an innovator and a world-renowned expert in the field of washing and classifying technologies, earning five patents as a co-inventor of next-level control systems for single and multiple classifying tank systems. Squires became a leading figure in the aggregate industry over a long, storied career. After graduating from Des Moines Technical High School in 1957, Squires started as a draftsman at Eagle Iron Works. He drew up washing equipment during his 16 years at the company before transitioning into more technical work. Eventually, Squires moved into more of a sales role. Squires took on a position fully dedicated to sales in 1971. 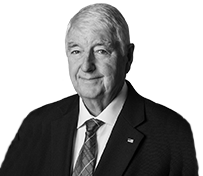 He had the opportunity to engage with customers like Martin Marietta and Luck Stone. Squires traveled throughout the northeastern United States and Canada for several years before becoming sales manager at GreyStone in the early 1990s. In 2014, Superior Industries acquired GreyStone. Squires currently serves as Superior’s aggregate specialist for its Washing & Classifying Division. When Squires works with his many customers, he brings experience and an innovative touch to every visit. In the early 1960s, Squires and a colleague developed an automated system for classifying tanks for sand and gravel washing. “Computers were coming around slowly into their use, so we came up with automation for classifying tanks for controlling sands,” Squires says. The project is something Squires is still working on today. The patents Squires earned were some of the first in washing technologies, as changes were being introduced into the aggregate field that required tighter specifications in highway, building and bridge construction. Additionally, Squires helped to develop a dewatering screen. This was an addition to the dewatering screw and represented a solution to reduce water that reaches stockpiles. The advancement helped users reduce water levels at stockpiles from about 20 percent on average to about 10 percent moisture content. These advancements were among the developments that led to Squires’ five patents. Earning a patent is quite the achievement, but it was never anything Squires set out to accomplish. 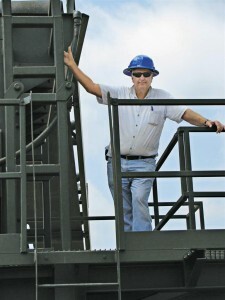 Overall, customer service is the component Squires enjoys most about the aggregate industry. Helping others and solving problems is the reputation the 61-year veteran has earned. The customer level is not the only area Squires has impacted greatly. John Bennington, a colleague at Superior Industries, considers Squires to be a mentor. Bennington also spoke about the invaluable lessons Squires taught him about problem solving and troubleshooting equipment in the field. “He taught me who to ask the right questions to and what to be quiet about and observe,” Bennington says. 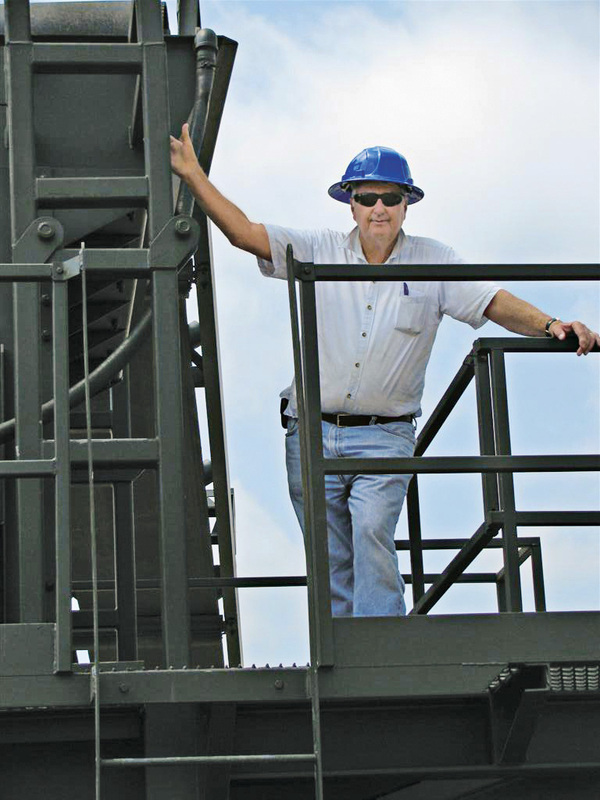 As his career winds down, Squires is proud of the time he’s spent in the aggregate industry.